Family Council staff member Charisse Dean discusses U.S. District Judge Kristine Baker’s decision to block a pro-life law passed in 2015. A federal judge in Little Rock has blocked the state from enforcing a 2015 pro-life law for the time being. The Attorney General will appeal to a higher court to reinstate the law. Watch the video below to learn more. The Washington State Poison Center’s latest Annual Toxic Trend Report shows marijuana legalization in 2016 has led to massive increases in exposure to the drug among youth. In 2017, there were 378 marijuana exposures reported to the Washington State Poison Center. That’s an all-time high. This tracks with experiences in other states over the past few years. In 2015 the Associated Press reported marijuana-related calls to Poison Control had jumped by more than half. 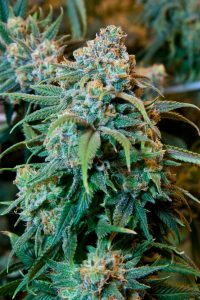 In 2016 a study published in the medical journal JAMA Pediatrics found marijuana-related calls to regional poison control centers had increased. The fact is marijuana is poisoning children and sending them to the E.R. As we keep saying, marijuana may be many things, but harmless simply is not one of them.